Murhut Falls – This 1.6 mile round trip hike is a 1 hour 16 minute drive from Sequim and a great day hike for the family. The trail is a former logging road and good for young or beginning hikers. Take an unforgettable family photo at the base of the 130-foot plunging, tiered waterfall. Marymere Falls – Begin this 1.8 mile round trip hike at the Olympic National Park Storm King Visitor Center on Lake Crescent. The trail starts in a beautiful, dense cedar forest and hugs a stream that leads to an overlook of the 90-foot-high waterfall. 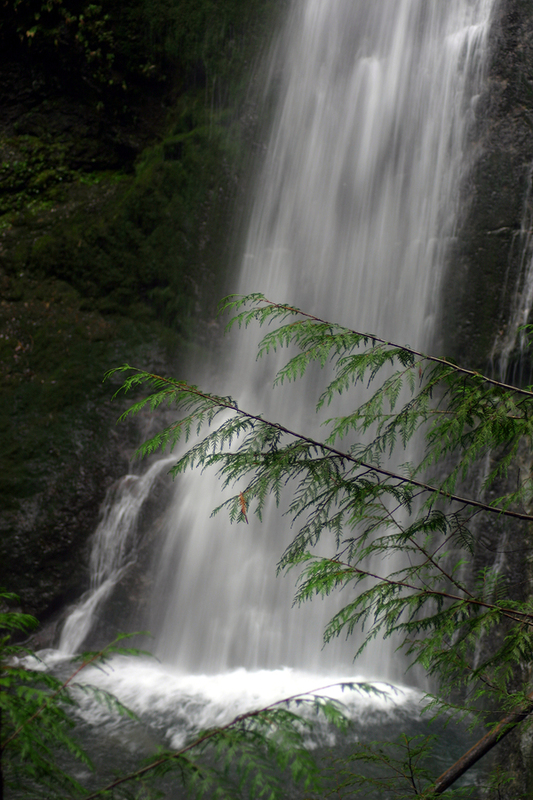 If you have the time, consider adding the Madison Creek Falls and Moments in Time hikes to your visit. Lower Big Quilcene – Just under an hour away from Sequim is this enchanting 10 mile long hike along a raging river. For a shorter hike walk 5.1 miles to Camp Jolley or the 2.7 mile trip to Bark Shanty Camp. Both hikes have great views of the rapids among the old growth forest. 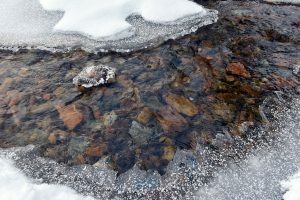 Upper Dungeness River – This 6.8 mile round trip hike is an easy stroll and is good for kids or beginners. The Douglas-firs tower above the roaring river and create a thick green canopy overhead. Enjoy the solitude of this beautiful trail while crossing its rustic log bridge over the Dungeness River. Dungeness Spit – Sequim is blessed to have this diverse trail right in our backyard. Visitors travel far to enjoy the 11 mile round trip hike that includes forest and beach views. The hike begins on a wooded path that opens up to miles of sand scattered with twisted bleached driftwood. Stroll the beach along the Strait of Juan de Fuca and watch the shore birds soar over head on the way to the 150 year old lighthouse. The holidays are a joyful time but can be busy and stressful. A hike can be so much more than just exercise. Winter hikes are especially peaceful and invite you to slow down to admire the scenery. Sequim is surrounded by natural beauty and the reason many choose here as their home. 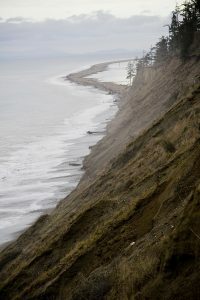 If you value access to magnificent year-round hikes, Sequim could be your ideal location. Contact our agents and learn more about the benefits of relocating to our charming town.